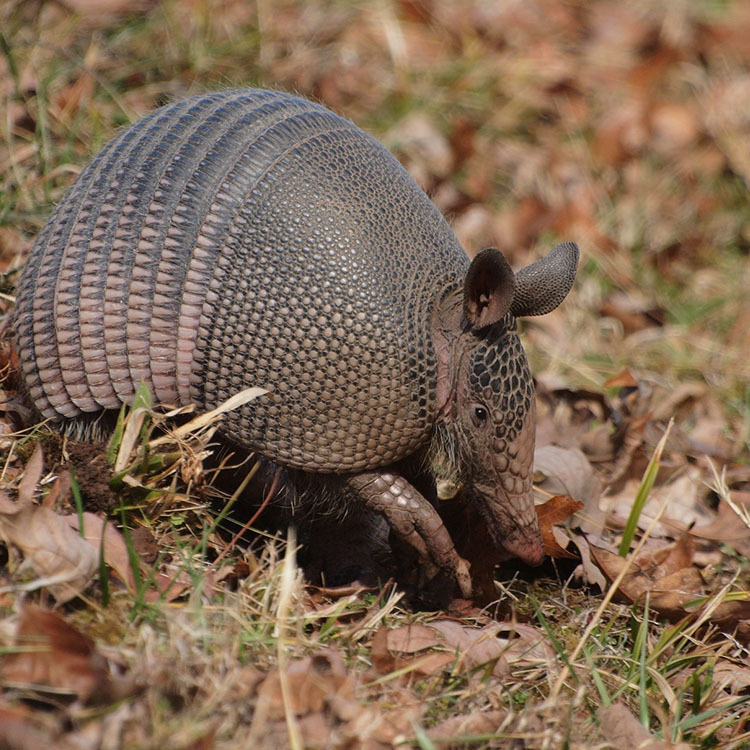 Trap armadillos, don't kill them! 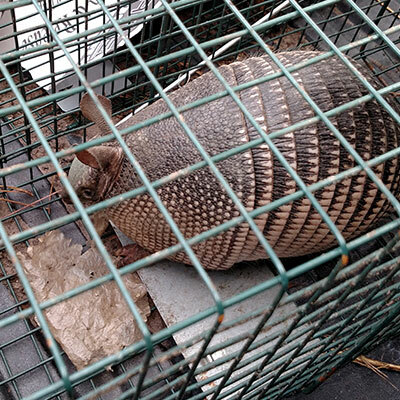 Trapping armadillos is not an easy task, so you should not expect to catch your guest within the first day – or even the first week. It takes time and patience, as armadillos are naturally timid creatures and may be weary of the cage. Try not to move it around too much though, as this will significantly decrease your chances of catching anything. You may also end up catching other wildlife in the area, which can also get frustrating. Once you’ve caught the armadillo, rehome it to an area where it will prosper. As an added measure, you may want to fill in the burrow so that other animals don’t come to investigate or to potentially use that burrow as their own.